He is actually wearing all black under the costume, and, due to the freezing cold weather, it will be several layers thick. But I thought you would enjoy this picture of the trial run because... well, because look how adorable he is! 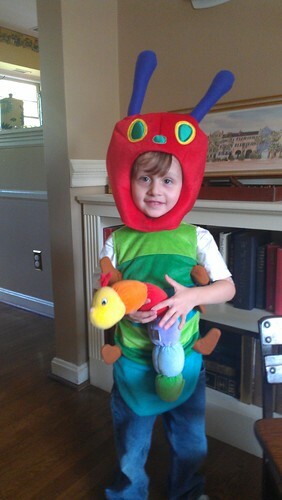 Real Halloween pictures of this Caterpillar and an adorable Minny Mouse coming soon!